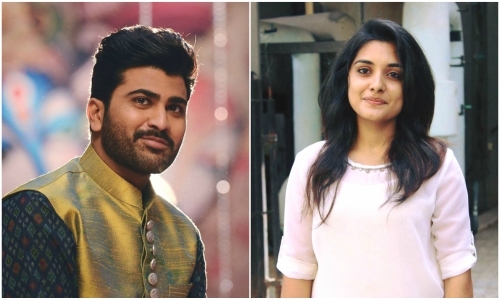 Home » Telugu » News » Nivetha Thomas roped in for Sharwanand’s upcoming dual-role film? Nivetha Thomas roped in for Sharwanand’s upcoming dual-role film? It is being reported that the film will have two leading ladies and the makers are looking for the second actress. Actor Sharwanand’s latest release Mahanubhavudu has turned out to be a hit flick and puts the actor in the league of successful actors. Directed by Maruthi, Mahanubhavudu is the story of a young man who has OCD for cleanliness and the theme of the subject seemed to have worked quite well for the actor. Sharwanand will next be seen in a film directed by Sudheer Varma for which pre-production works are currently underway. The makers of the film are currently working on the cast of the film and buzz in the industry is that actress Nivetha Thomas has been roped in for this yet to be titled film. However, it is being reported that the film will have two leading ladies and the makers are looking for the second actress. “There are two female leads as Sharwanand is playing a double role. For one role, Nivetha Thomas has been finalised. They are still looking for another actress,” a report in DC quoted a source. Nivetha Thomas, who has had a successful run since her debut, has become one of the top actresses in Tollywood. It is also being said that ‘Fidaa’ actress Sai Pallavi is also being considered for the other lead role since the makers want to cast actresses who haven’t worked with Sharwanand in the past.